HP Integrity rx1620 servers offer support for OpenVMS. 8.2 onwards Integrity rx1620 servers support up to two 64-bit Itanium 2 1.3 or 1.6GHz processors and up to 16GB system memory. Integrity rx1620s from Island Computers are the lowest cost HP Integrity server available. 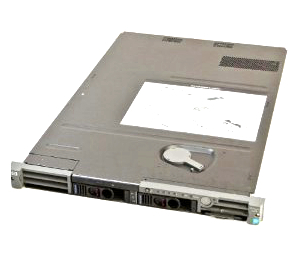 The rx1620 server is an affordable and versatile server platform, offering 2 hot-swap U320 hard disk drives and an external Ultra320 SCSI port, all packaged in a 1U Enclosure (Like the Alphaserver DS10L) Integrity rx1620s from Island Computers carry a 12 months warranty and are completely refurbished, rigorously tested, and configured to meet your specifications. For more information Download HP Integrity rx1620 Quickspecs here.